Previous work has shown that evolving artificial neural networks (ANN) with an evolutionary algorithms (EA) is a feasible way to find a feasible control algorithm for self-organizing systems. 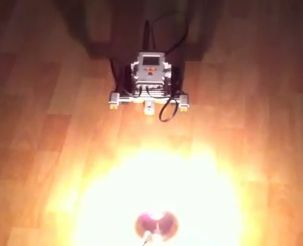 We used a simulation of a robot that is searching for a light source as a testbed to determine which combination of parameters is advantageous for evolving an ANN. 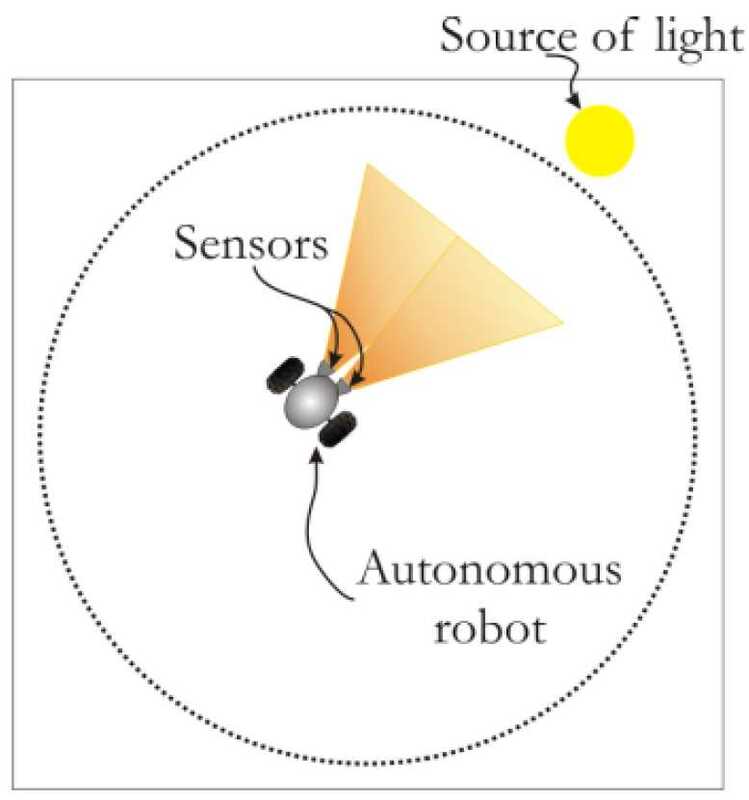 While ANNs are often programmed using example input-output pairs which are learned by a backpropagation algorithm (supervised learning), in our case we left the how up to the system and only required the what – the robot should be able to find the light source by operating its wheels and using its sensors – that is called learning with belated rewards or reinforcement learning. We compared different EA, namely simple EA, two dimensional cellular EA, and random search, according to their performance in evolving a successful algorithm for the light-searching robot. In our experiments we studied the effects of EA parameters on performance, such as population size and number of generation. The simulations have been done using the open-source tool Framework for Evolutionary Design (FREVO). The results explain how the choice of the neural network (three-layered or fully-connected) may influence the quality of a final solution. The results indicate that cEA and simple EA are the most applicable for evolving a neural controller. A fully-connected ANN outperforms three-layered ANN in all conducted experiments. Based on our findings, we recommend to use cEA and fully-connected ANN for problems that require short evaluation phase. For a large number of generations and population size the efficiency of both algorithms are approximately the same. In the experiments we measured an influence of population size and number of generations on performance of metaheuristic algorithms. The dependencies on these parameters are negligible. This information is important for the conduction of experiments. To accelerate a simulation, the population size should be the same as the number of cores on the server, where these experiments will be performed. Sergii Zhevzhyk, Wilfried Elmenreich, Comparison of Metaheuristic Algorithms for Evolving a Neural Controller for an Autonomous Robot, Transactions on Machine Learning and Artificial Intelligence, pp. 62-76, 15, 2014.